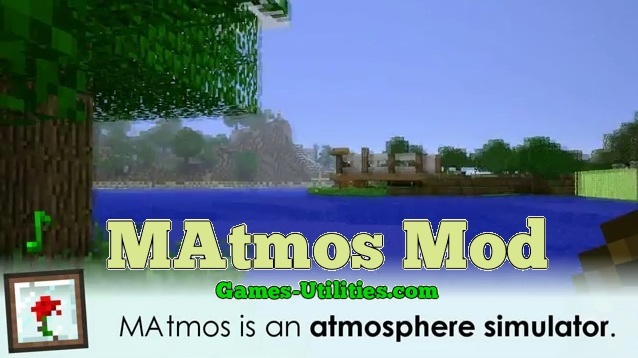 MAtmos Mod R24 for Minecraft is a must have mod that adds ambient noise. This mod generate some special type of sounds while you are playing Minecraft on single player or in any other server. The features include some bird noises, lake sound, lava sound, hilltop sounds and the most attractive perpetual silence that you have heard in any game. It also brings reality touch into Minecraft. In other words this mod gives you the natural feel of place wherever you stand.